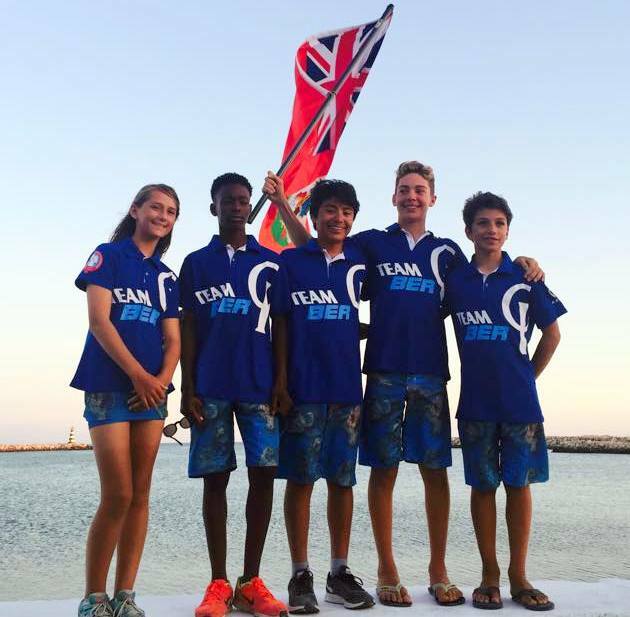 Bermuda sailors were back on the waters of Cyprus to begin competing in the World Optimist Championships. Day Two saw them sail two more races to take the total to four for the series. Kempe remains the leader of the Bermuda Fleet he moved up 5 places from 50th to 45th place with 64 Net Points, Ebbin is 105th with 115 Net Points. Walker is 204th with 189 Net Points, Smith moved up 43 places and finished in 206th with 190 Net Points and Ringsted is 230th with 215 points. Kempe finished 60th in the third race of the regatta, while Ebbin was 141st, Walker crossed the line 178th, with Smith finishing 180th and Ringsted was 219th. The Bermuda sailors were back on the startline for race four and the second of the day, Kempe was 45th, while Ebbin finished 105th. Walker was 204th across the line in the race, while Smith finished 206th and Ringsted finished 230th.